GUADEC 2018 will held at the University of Almería campus. You can check the campus localization at OpenStreetMap or Google Maps. You can explore the campus through this 360º virtual visit. It is a fairly new university, founded in 1993 so you can congratulate us in our 25 Anniversary. It is almost completely hosted in one campus placed at about 6 Km from Almería city, just a few meters from the sea, literally. You can check the UAL campus map. 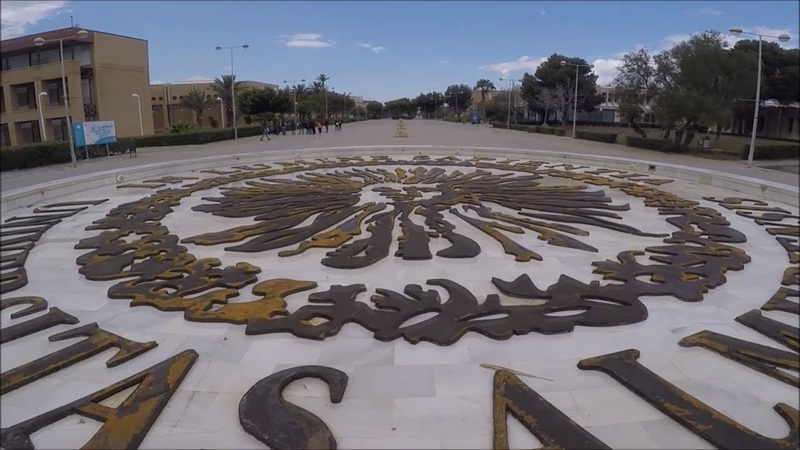 The campus of the University of Almería is outside the city. There are regular lines everyday but weekends schedule is not well fitted for GUADEC. For this reason we charter a direct bus from city and Civitas, the planned GUADEC's main residence, to the university campus. For core days we have bus to go and come from campus. For the BoF days we'll have just the morning going to campus for our convenience. To go back to the city you could take some of the regular buses. You can check the waiting time for each bus at the precise bus stop. When going from CIVITAS to campus you'll probably would like to take L12 bus at bus stop 71 ( check waiting time). When back to CIVITAS from campus you'll want to take the L11 bus and get down at bus stop 56 (check waiting time). For going and coming from the campus it's the same bus stop 144 (check waiting times). A taxi ride from the city to campus costs about 6 €. You can ask one at the Pidetaxi web application. To go to campus just ask driver to go to the main entrance of the university. You can ask for a taxi using Whatsapp or Telegram using in English at +34667226122 More info. There are a bike track from the city to the campus. At the campus you'll find bike lockers. Bring your own padlock. Do you want to hire a bike for GUADEC? Please check this information and ask organization. There is a campus wide WiFi network. Network access is compatible with the Eduroam network accounts. GUADEquenses will have our own VLAN WiFi access activated in the places reserved for us. Meals will be held at the mentioned campus cafeteria. It can host more than 300 persons at same time and is able to attend several hundreds in a normal day. It offers healthy menus following the Mediterranean diet includung salad, appetizer, main dish, dessert/fresh fruit, bread and drinks. Gazpacho will be a GUADEC menu's special feature. In working days there are other smaller canteens but they all close at 14:00.